Had a couple of lagers in the fridge on Sunday and decided with Summer coming to an end it was time to drink them and start making room for the stouts and porters. 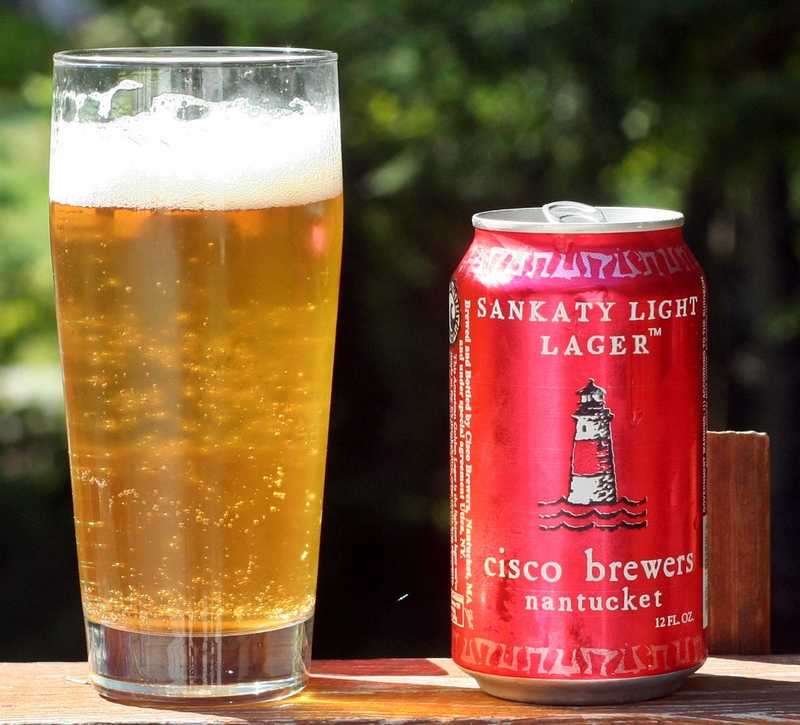 This is my second canned beer from Cisco Brewers and truly a session beer with only 3.8% ABV. Pours a pale yellow with a nice white head full of big fluffy bubbles. Just like the Pale Ale the head disappears very quickly leaving no lacing on the glass. Aroma is what I expect from a lager – meaning not much, maybe a little sweet smelling but no hop, fruit or anything exciting coming from this one. Taste is quite bland but very light, easy to drink and refreshing. Not a bad beer but just not my style. 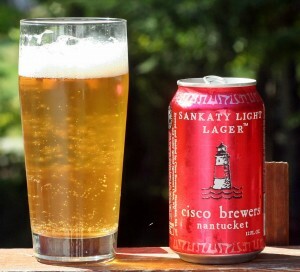 Brewers Description: Sankaty Light Lager is a light American Golden Lager. This delicious creation is light-bodied with tremendous balance and distinct hop character. At 3.8% alcohol and 126 calories this light beer has true flavor and body while being easy to drink and easier on the waistline. It is named after the famous lighthouse that has stood on a bluff on the southeastern side of Nantucket Island since 1849.